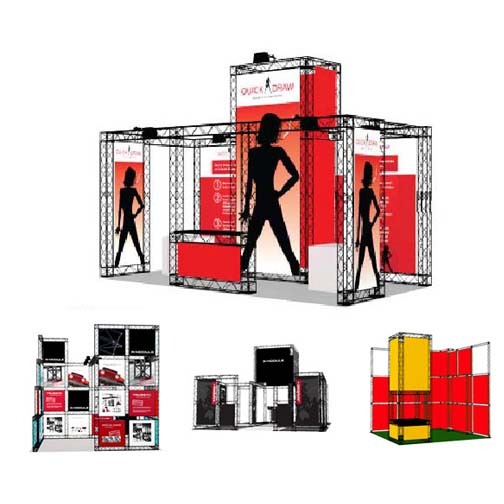 Lightweight, strong, durable........just a few words to describe the time tested truss exhibit systems. 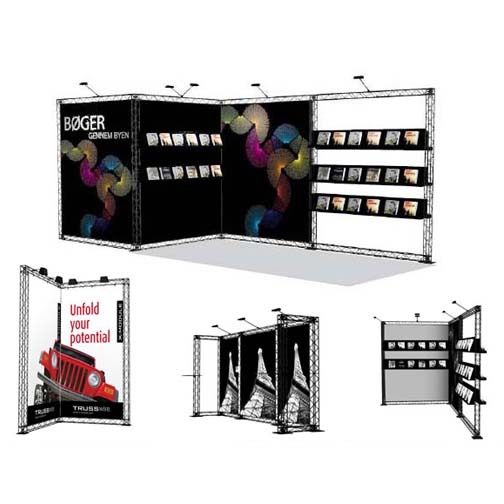 Truss is used both indoors and outdoors for exhibit and event builds. 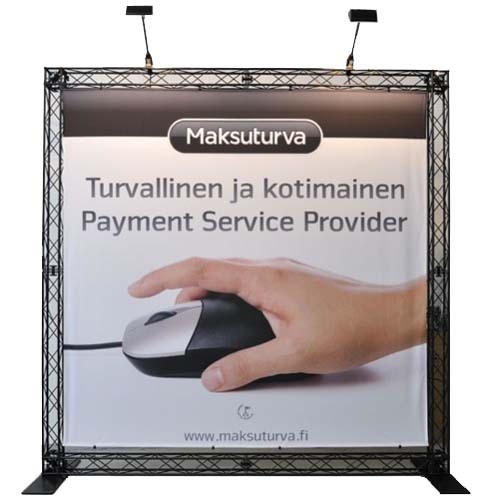 One of the best weather resistant exhibit options available. 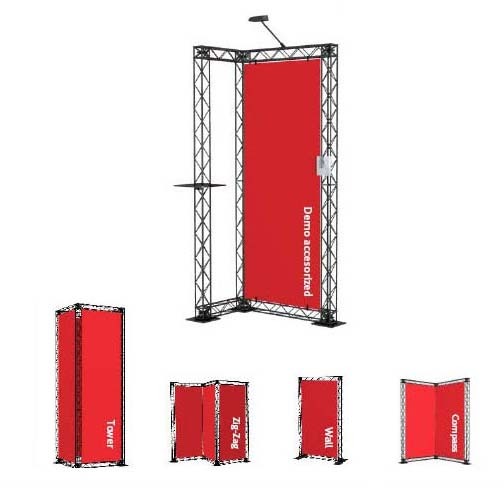 We've provided truss for the Winter Olympics in Vancouver and for fair and festivals across the continent....for use in all kinds of weather. 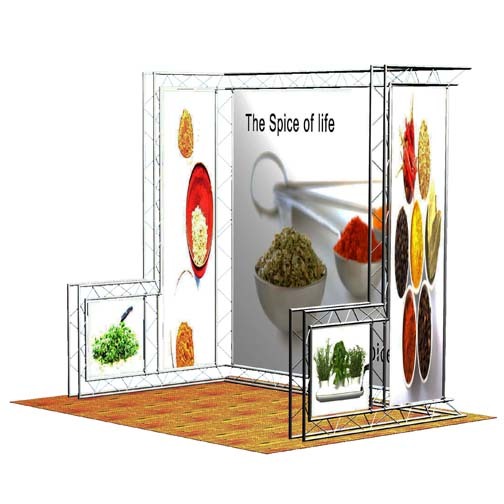 If you are looking for custom aluminium building let us create a design and quotation for you. 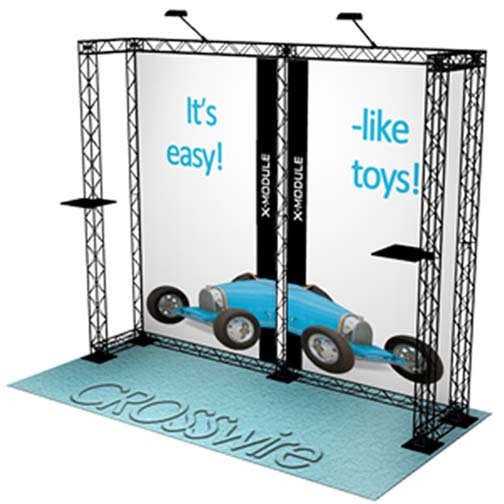 We also carry a great line of smaller more decorative truss that is aluminum in structure but covered in industrial plastic to enhance its appeal for trade show and retail applications. Take a look at the X Module and you'll be surprised! 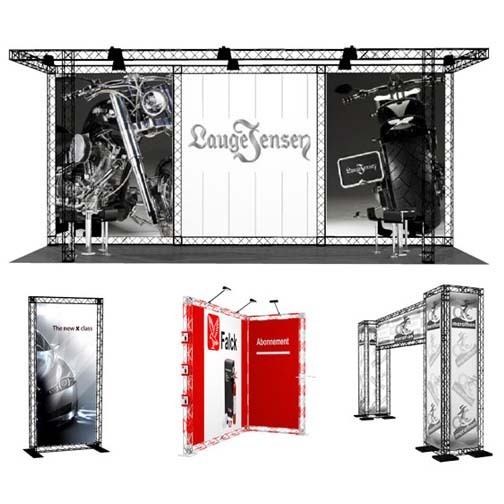 Our free design and quotation will highlight the modest cost of truss as well as the functionality and the appeal of our truss.